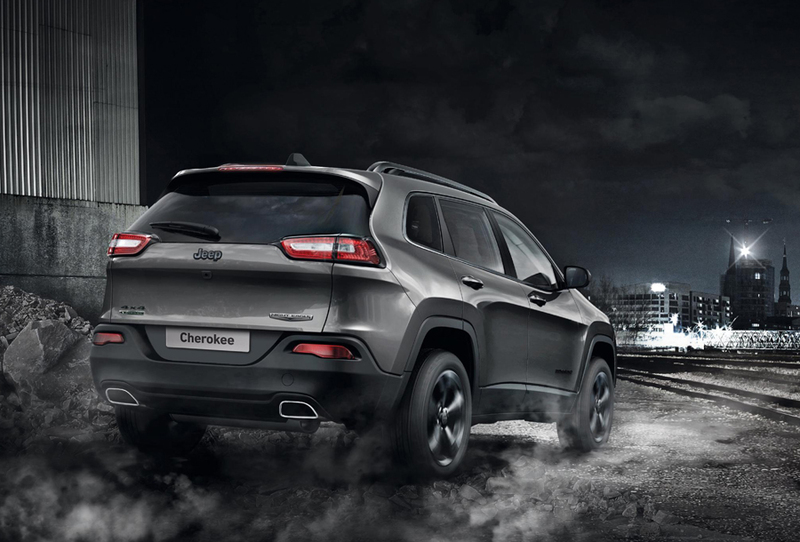 Designed to enhance Cherokee’s striking design, the Jeep Cherokee Night Eagle’s bold appearance accentuates its distinctive style. 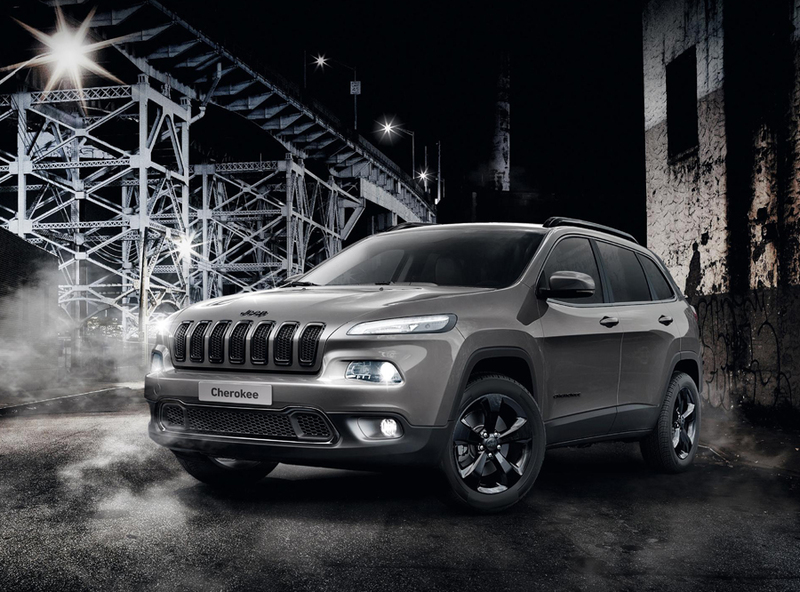 This limited edition SUV features satin-finished grey elements on the front grille-mounted Jeep badge, the fog light frames, black gloss roof bars and the dedicated Night Eagle name badge, combined with exclusive 18-inch black gloss alloy wheels and deep tint sunscreen glass. Power comes from the new 2.2-liter MultiJet II turbo diesel engine delivering 200 hp which, combined with Jeep’s smooth nine-speed automatic transmission and rugged Active Drive I 4×4 system, gives the car a top speed of 127 mph and 0-62 mph acceleration in 8.5 seconds. Yet the Cherokee Night Eagle can still return 49.6 mpg fuel economy. Inside, a leather steering wheel, exclusive leather upholstery, heated front seats with electric lumbar adjustment on the driver’s seat, Uconnect with 8.4-inch screen and navigation system, Bluetooth and TFT instrument panel create a comfortable, high-tech setting for driver and passengers. Other standard equipment on the Jeep Cherokee Night Eagle includes a nine-speaker sound system with subwoofer, cruise control, dual-zone climate control, electric tailgate, rear parking sensors, automatic headlamps with washer, rain sensing wipers, and auto-dimming rear mirror. This limited edition Cherokee comes in four stylish colors: Brilliant Black, Bright White, Billet Silver and Granite Crystal. Only 350 units will be produced.